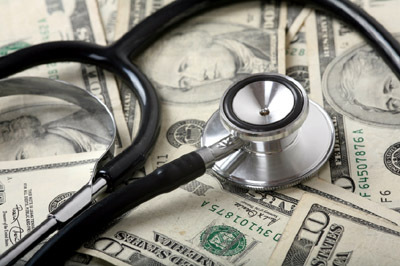 For whatever reason, getting procedure prices from medical clinics can be extremely difficult. Often, people don't even know what they're expected to pay until they get the bill in the mail after all services have been rendered. It's truly abhorring to think that many of these clinics are very open and helpful in explaining their medical procedures, practice procedures, how they diagnose and treat conditions, but get evasive and dodgy when asked about how much it will actually cost a patient. At The Alaska Sleep Clinic (ASC) we understand that building trust with patients requires full disclosure and transparency about everything we do in our practice–especially when it comes to cost! Aside from wanting to know how to treat their sleep disorders, the greatest concern patients have is "how much will it cost me?" And this is a perfectly reasonable question to ask, and one that we refuse to shy away from. 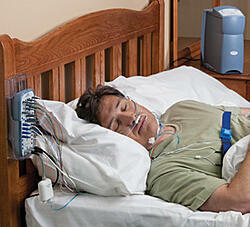 A Home Sleep Test (HST) is exactly what it sounds like: a sleep study conducted from the comforts of one's own home. For a home sleep test, users usually comes into the sleep clinic the day of the test to pick up their HST and are given a demonstration on how to use the machine properly before taking the equipment home. Testing is performed by the users, and the data stored on the equipment is uploaded the following day at the sleep clinic. HSTs are used primarily in diagnosing patients with sleep apnea, and even then only for patients who are likely to have moderate to severe sleep apnea. However, with proper screening approximately 75% of people with moderate to severe sleep apnea can be accurately diagnosed with this test. And at about 1/4 of the cost of an in-lab sleep study, it's often the most cost-effective choice. A polysomnogram is an overnight sleep study that records brain activity, eye movements, heart rate, blood pressure, oxygen levels, body movement, and more. Polysomnograms are used to help diagnose a wide variety of sleep disorders including: breathing disorders such as obstructive sleep apnea, sleep related seizure disorders, movement disorders, etc. Tests usually begin around 9 p.m. and conclude the following morning between 6-7 a.m. and are administered and monitored by a registered polysomnographic technologist (RPSGT). A CPAP titration study usually follows a PSG diagnostics test, although it occasionally is administered on the same day as the test. A titration study is performed to calibrate the CPAP machine to the patient's individual breathing needs. It involves much of the same equipment used in a PSG but also includes sleeping while using a CPAP machine and mask to see how the patient's body responds to the therapy. A multiple sleep latency test (MSLT) is a sleep study that is performed during the day to measure how sleepy you get or to discern whether breathing treatments for your disorder are working properly. MSLT's generally follow a Polysomnogram and record whether you fall asleep during the test, and if so, which stages of sleep you enter. In an MSLT you are generally given five 20-minute nap opportunities spaced 2 hours apart while a sleep technician monitors your brain activity and eye movements. An MSLT is often used to test for narcolepsy. A maintenance of wakefulness test (MWT) is a daytime sleep study that measures how alert you are during the day and your ability to stay awake. They are usually performed after a PSG and can help determine if your sleepiness is a safety concern. In a MWT the patient lays on a bed in a dimly lit room while trying to stay awake 4 times at 20 minute intervals spaced 2 hours apart. Results of an MWT can be critical if a person's job involves public transportation. Often, employers will require an employee to have an MWT if they have a history of excessive daytime sleepiness or other related sleep disorders. So there you have it–our prices for our sleep studies. It's important to remember that based on your insurance provider, these prices may be dramatically reduced making the cost you pay out of pocket much less. If you have any further questions about our prices, which insurance carriers we are in network and contract with, our cash based discounts policy, or really, any questions regarding your health as it relates to sleep, feel free to contact us by clicking the link below or call us at 855-AKSLEEP (855-257-75337).